Quiet morning on the Danube, paddling again after too long a time. It is a workday morning and despite being inside the city of Belgrade, we have the entire river to ourselves. In the middle of it, one Eurasian Hobby greets us on its way from one bank to another. A quick dip into a side branch, for a few Black-crowned Night-Herons, but a thick carpet of floating vegetation stops us after half a mile. Back in the river, a Black Stork flies over to the large island where it lands to forage in the now forgotten pond, which was another river branch some 20 years ago, when it was possible to canoe its entire length. 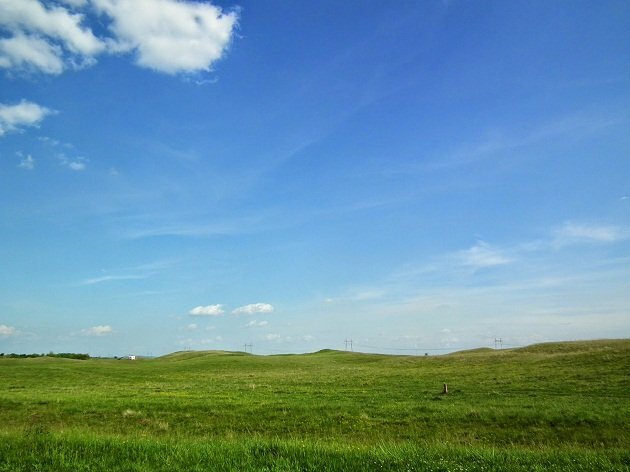 In the meantime, the natural succession of the vegetation has effectively cut it off. A flock of eight Black Terns is flying upstream, while a dozen Common Terns fly downstream. All those movements happen literally 1.4 miles from the central city square. Later that day, I was driving along the dirt tracks of Deliblato Sands, a steppe on sand dunes, a sunny and dry habitat that attracts European Bee-eaters, Tawny Pipits and such. There were loads of the first, but none of the second – and I came specifically for the pipits (to make matters worse, I had a fleeting glimpse of a possible suspect). Loess bluff with numerous bee-eaters and one Northern Wheatear and, cut into a low grassy ridge, the set of tracks veers right. Two doves on the wire… Here, I would expect them to be European Turtle-Doves, as opposed to Collared Doves, but they are against the light… until a soft turrr – turrr comes from that direction. Their scientific name is not turtur for nothing. 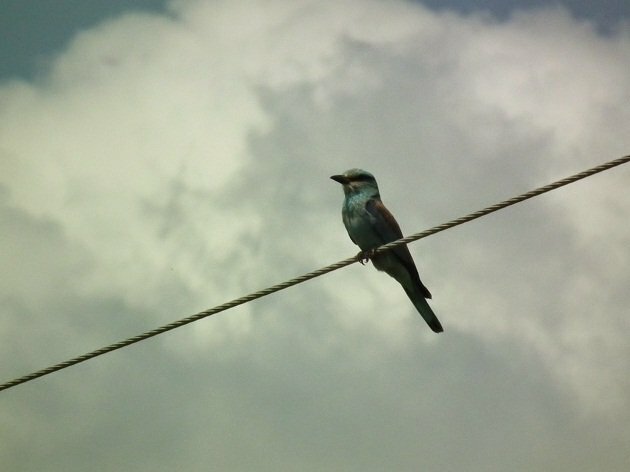 Further on a wire sits a somewhat large-headed small-crow like bird. Checking through the dusty windscreen, I catch a glimpse of bluish plumage – the uncommon European Roller on migration. I am coming closer – the bird is quite tolerant – and taking a few photos. 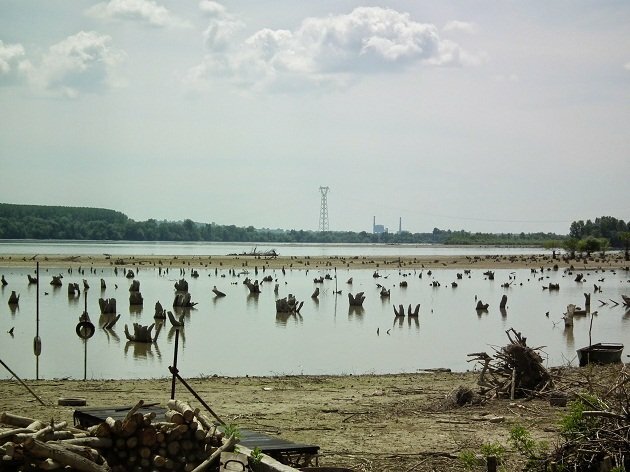 Not far from Deliblato Sands lies the village of Dubovac and, between it and the Danube, a wetland important for its heronry – in some years among the largest in Serbia. But now it is in a shocking condition – there is hardly any water left in it and heron activity is worryingly low. While this may be a common occurrence in August-September, in spring this place is usually full of water, which keeps the heronry safe from terrestrial predators. Across the low-lying bank, the Danube shallows are waterless, too. Only the tree stumps, left after the riparian forest was clear cut before the huge Iron Gates Dam was filled up in 1970, are protruding from the puddles. On the way to the other side of the wetland, I encounter more European Turtle-Doves and Bee-eaters, a Red-backed Shrike on a wire and one handsome male Eurasian Hoopoe (cover photo) posing for photos on a fence post (how can I tell a male – easy, it was singing.). Above the reedbeds, there were numerous Common Sand Martins (Bank Swallows), with a few Barn Swallows, while the large herd of grazing cattle (one of them particularly interested in licking the dust off my car) was followed by two dozen Western Yellow Wagtails. The final site of the day was sewage ponds of the sugar factory by the town of Kovin. Unlike the Dubovac wetland, the problem here was not the lack of water, but the abundance of it! All the lower, inner dykes were entirely submerged and gulls and terns devoid of their favourite nesting sites. Black-headed Gulls somehow managed to build 31 nests on a few dead tree trunks left in the water, but Common Terns require bare soil and not having any on inner dykes – which were a safe haven, they build 16 nests on the higher outer dyke, a place exposed to foxes and stray dogs. Compared to the last spring, there is only a half the number of terns and five times less gulls. This sugar factory is closed for years already and there is no one to talk to, but building a nesting raft here would be of greatest importance. The next morning found me at the Reva Pond with a group of primary school kids. 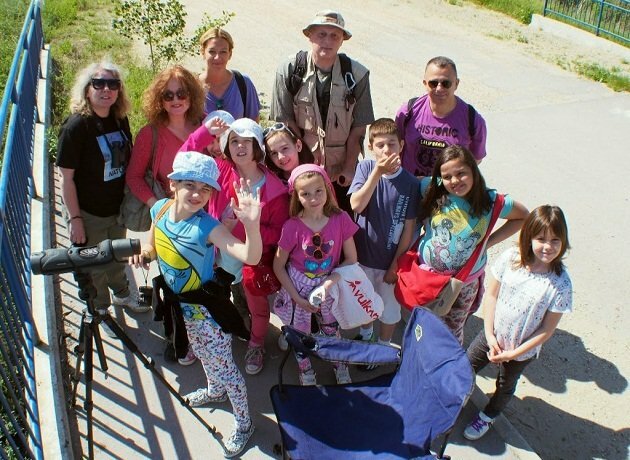 The kids were great – it was a small group, really interested in birds and nature (all but one, which is way above the average) and their interest lasted for good hour and a half (again, above the average; afterwards it was time for some shade and ice-cream). One girl even claimed that she wants “to become an ornithologist when she grows up”. Thanks for sharing those mornings of birding. Some nice birds there, especially for being so close to urban areas. Thanks for the pictures reminding me of viewing those same two birds in Southern Africa last October. Thanks, but one of them was most likely different – after a recent split (again, not necessarily accepted by all authorities, but it is possible to distinguish the sub/species), the never so humble Hoopoe of Southern Africa become Upupa africana. 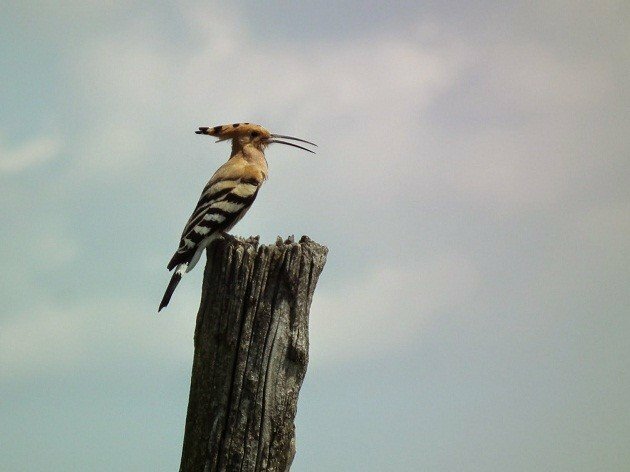 Yet, the status of Eurasian Hoopoe U. epops in Africa is not really clear.